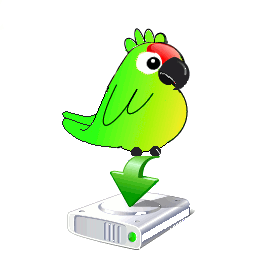 New version WinParrot® 2.1.3.5 (08/10/2018). Version New features by version. 1.1.3 The Studio features to make your edits (copy, delete, move records ...). Enhanced performance with ever less CPU and memory. 1.1.4 A new type LOCATION that can be used with the Goto function. Run macros by command line with parameters. New operators, functions and type real. 2.0.2 INI file : WinParrot.ini. Portable version (can run on an USB key without installation). 2.1.1 It is possible to save responses in the INI file. Recording and playback smarter, works with sub menus. New function Studio 'Capture': You can update the screenshots. 2.1.2 New functions : FileListLoad, FileListGet, FileGetName, FileGetPath, FileGetExt, FileCopy, FileDelete, FileMove & Random. 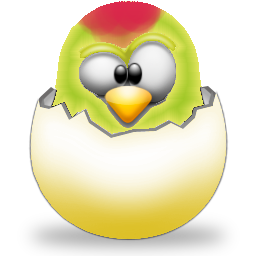 2.1.2.1 Bug fix : Many user are blocked by a message warning "WinParrot has been modified". 2.1.3 New method of reading macros with automatic hold if the target application is busy or if you move the mouse. Doubling the buffer for writing. You must download WinParrot 2.1.1 before. 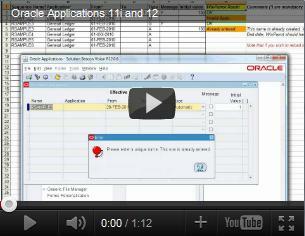 Examples specialized Oracle Applications 11i and 12i. These examples are intended exclusively for consultants Oracle Applications 11i or 12i. "Vi piacerebbe avere un pc a comando che fa tutto ciò che desiderate? Con WinParrot, il pappagallo per Windows, è possibile registrare tutte le operazioni al pc che facciamo più spesso e successivamente possiamo eseguire tali operazioni richiamandole tramite nome..."
"WinParrot to rozbudowany i calkowicie darmowy program, majacy na celu automatyzacje najczesciej wykonywanych na komputerze operacji. Pozwala ono skutecznie rejestrowac ruchy myszka, klikniecia, a takze czynnosci wykonywane za posrednictwem klawiatury i samoczynne ich powtarzanie w dowolnym momencie..."
"WinParrot does far more than most free macro recorders to help you resolve problems, though. It clearly displays your sequence of steps after recording, for instance. A Debug mode helps you better understand how your macro works." "The program makes it unusually easy to get started. It’s a tiny 654KB download; there’s no installation required, just unzip and run; and recording your macro is as simple as, well, clicking Record (and pressing the End key when you’re done)..."
"WinParrot - it is a useful utility that can be used by owners of Windows-based systems to automate a variety of repetitive actions. The proposed smart tool designed for accurate recording and playback keystrokes and mouse manipulation..."
"WinParrot é uma aplicação muito interessante, que não precisa ser instalada para utilização. Ele pode ser definido como um aplicativo autônomo, podendo ser baixado a partir do portal WinParrot, e utilizar as suas funcionalidades pode ser muito simples..."
"A portable and small but very powerfull. As it is all about replicating actions and so the possibilities are endless. WinParrot with many options and tasks to run from make it a great utility...."
"You could run a screen grab tool to capture an image, then do something with the resulting file. Or you might use WinParrot to set up a software demo, such as entering figures into a spreadsheet, and producing a graph with the results..."
"Remarkably WinParrot can be used to extend the macro (a command to record user activity) in the presence of looping, conditional testing, variables and mathematical functions. WinParrot is one useful debugging tool to test everything and can run automatically...."
"Do you want to make a duplicate log of all the things and tasks that you do on your PC? 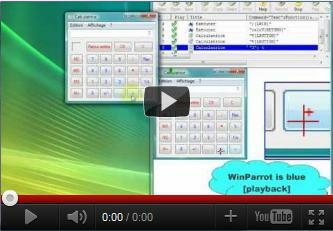 If yes, than WinParrot is definitely the perfect software for you...."
"...Put it all together and WinParrot really is an excellent tool, which scores in every area: it’s compact, portable, has no adware hassles, doesn’t require admin rights, is easy enough for beginners to use, yet also has a wealth of powerful options which experts will love. We’ve no idea why it’s also free..."
"The program's instructions are simple and clear: press the Record button, record your process, and press End when you're done. There's no need to schedule the program to play back your macro: Simply press Play. The Help file offers a huge range of commands and many screenshots to help users customize WinParrot." "The application is very complete. It would be difficult to explain everything in a few lines. Be aware that well used, it can save you much time.". 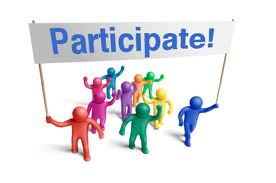 New users should take a look at the excellent online help to get accustomed to the application." "WinParrot is an application which allows you to record your recurring tasks and to execute them anytime in the same manner in a single click.". "Uma fantástica solução, simples e intuitiva, que nos ajudará a automatizar o nosso trabalho diário e recorrente." "A fantastic solution, simple and intuitive, which will help us automate our daily work." "WinParrot is a great program that observes user behavior on your computer and repeats the most common operations." "WinParrot es una herramienta simple que fue diseñada para ayudarte a automatizar los trabajos diarios recurrentes en tu windows..."
"WinParrot possiede un'affascinante interfaccia grafica che rende il programma di semplice comprensione e, quindi, utilizzo. La stessa risulta essere pertanto adatta sia agli utenti che si approcciano per la prima volta nella loro vita a sfruttare questo tipo di funzioni, sia ai veterani di questo bellissimo settore..."
"WinParrot simply loads each movement of your mouse and keyboard, so you can automate virtually any action. ..."